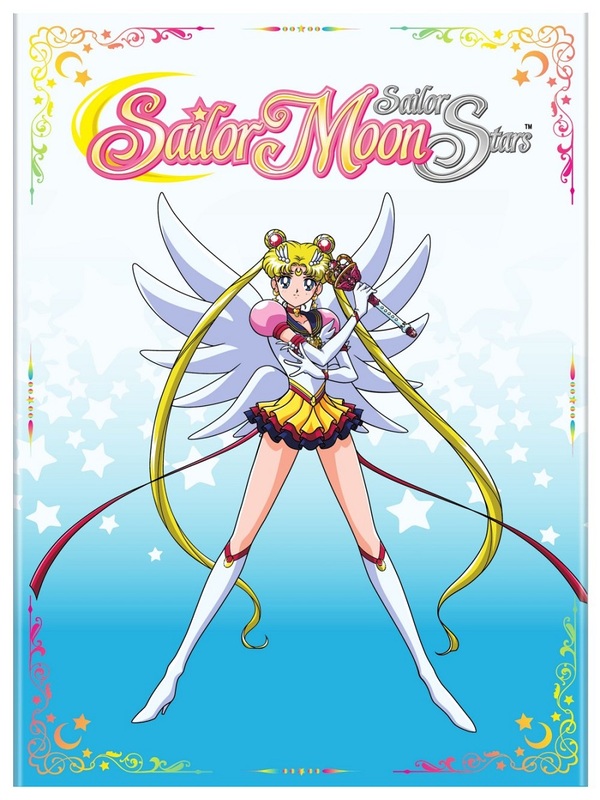 Sailor Moon Sailor StarS Set 1 includes episodes 167-183 of the anime directed by Takuya Igarashi. Sailor Moon and the Sailor Guardians are about to face their greatest challenge yet — high school! But as the girls take their next big step in life and Chibi-Usa prepares to return to the future, a mysterious force frees the evil Queen Nehalennia! While the struggle to contain her old enemy will be difficult, it may be Mamoru's year of studying abroad that hurts Usagi the most. 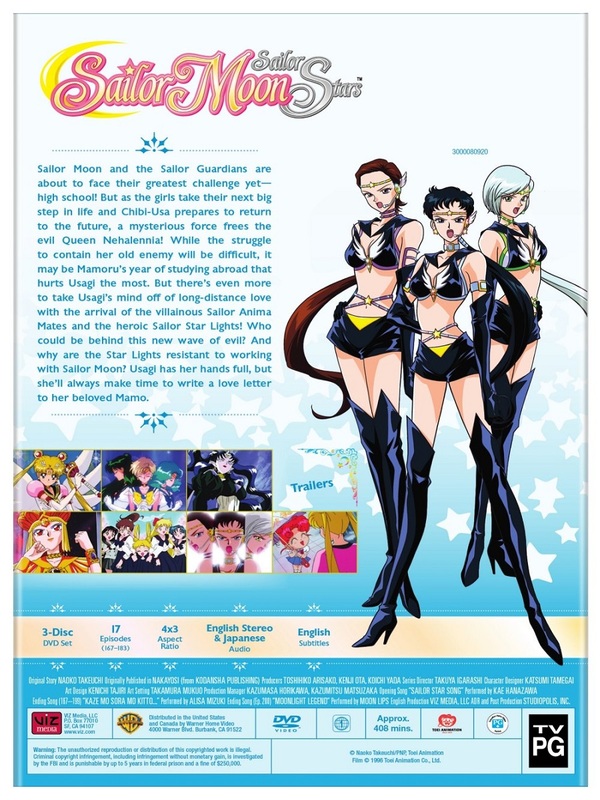 But there's even more to take Usagi's mind off of long-distance love with the arrival of the villainous Sailor Anima Mates and the heroic Sailor Star Lights! Who could be behind this new wave of evil? And why are the Star Lights resistant to working with Sailor Moon? Usagi has her hands full, but she'll always make time to write a love letter to her beloved Mamo.